“SLOW IT DOWN! I’M TELLING YOU THIS TO HELP YOU,” were the instructions from Coach Marie for my long run yesterday. By “slow it down” she meant stick to an 8:30 per mile pace. I have this little problem regarding long slow runs: I do them too fast. There are two basic types of training run – those dedicated to speed work, and those run long and slow, to build endurance. Running those too fast doesn’t produce the endurance benefits. The idea is not to overtax the body, but to get it used to running long distances comfortably. Then you can turn it on for a race, and if you’ve trained properly, you won’t bonk. The previous week I had (again) run faster than my assigned pace, due to the makeup of the running group that Saturday. 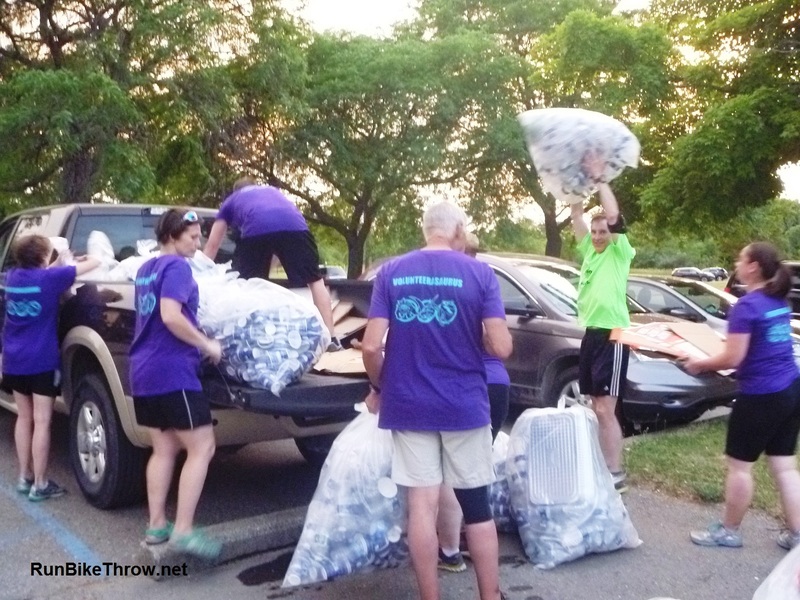 One group ran 7:30 miles, the other ran 9:30 miles. That left me, at 8:30, by myself, so I had sped it up just to have some company. Since I was running solo today (up north at the Dunes), I had no excuse to deviate from Marie’s directive. 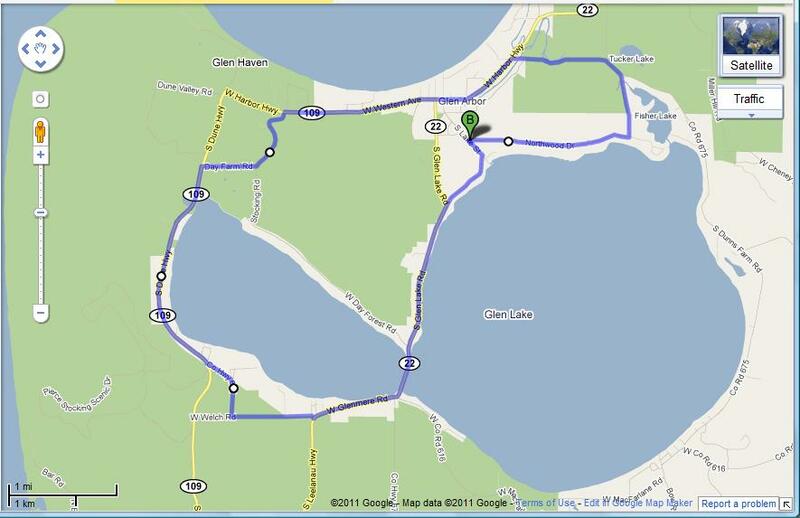 The first half of the run, a partial loop around Big Glen Lake, was fantastic; cool breeze, mostly in the shade. Kept slipping from 8:30 to 8:00 or less, and had to force myself to slow down. At the 7 mile mark I stopped and dipped my washcloth (one handy item I neglected to include in my “Gear Up!” page) in the lake to cool off. Then onto the second half around Little Glen Lake. This part was mostly in full sun, and as I was running in the mid-afternoon on pavement, I began to feel the effects. (Mile 11) Proof I am not the craziest one out here. 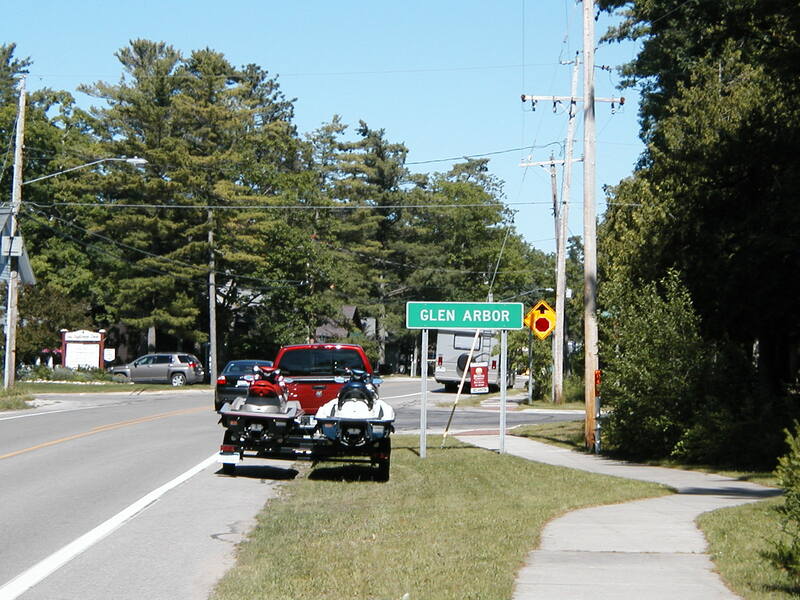 The “assault” event occurred near the 11 mile mark, just before the entrance to the Climbing Dune on M-109. I was on the left shoulder, supposedly safe from the traffic coming up behind me. However, just as a pickup pulled even with me, the nimnul in the Porsche behind him decided he just HAD to pass the truck NOW. Fortunately, I heard the ferocious engine roar and turned just in time to leap left as the Porsche blasted past me and disappeared. He might have missed me anyway, but it felt way too close. No time to get my camera out to snap his plate, but I stopped at the Dune climb to see if by chance he was there. And in that respect, he did me a favor. I took the opportunity to refill my water bottle and dunk my head, which likely saved me over the last three and a half miles. (Mile 14) The most welcome sight in my universe at the time. Made it back to Glen Arbor and headed over to Thyme Out, which thankfully was still open, and drained a large lemonade, feeling a bit woozy. That passed for the moment, but hit me again after I got back to camp and showered. Got bad enough that I had to lie down, and wound up napping fitfully for a couple of hours. But I’d promised to help with prepping dinner, so I got up. While I sat there, still lightheaded, it finally occurred to me what the problem was – salt! I hadn’t replaced my electrolytes. A handful of potato chips later, problem solved. Most of my long runs have water stops that include Gatorade, or I have one waiting at the end. I just overlooked it this time. My total of 14.5 miles is a new distance record for me. Average pace – 8:29. (See, Coach, I can be disciplined.) And I’d committed to an early Sunday morning bike ride with a church friend who’s up here for the weekend. Stay tuned to find out what kind of legs I had left for that.